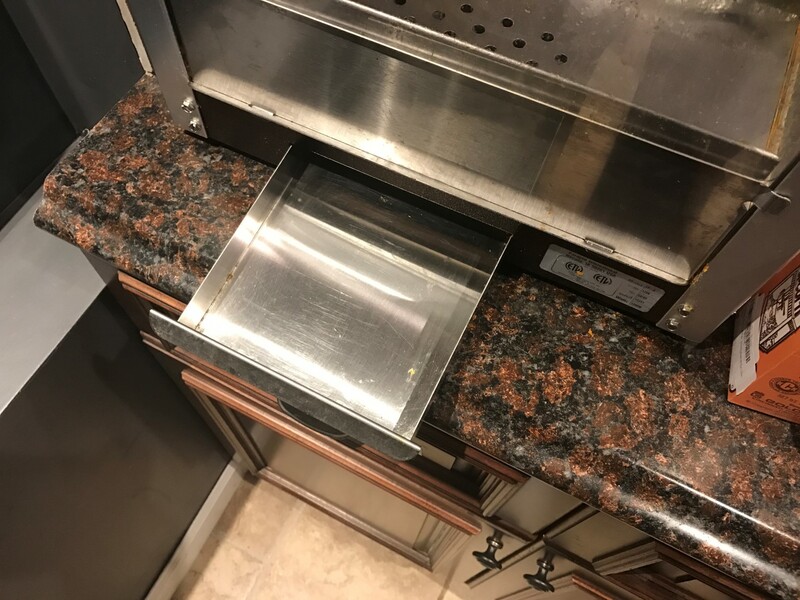 If you’ve reached this guide, chances are you’re either looking to buy a popcorn machine, use a popcorn machine, repair a popcorn machine, or clean a popcorn machine. I’ve developed a guide and divided it up in sections, each one addressing a specific issue. As a heads up to anyone reading, the Amazon links below are referral/affiliate links. What that means is that if you happen to buy something from Amazon through one my links, I will get a small referral bonus. All of the document below though are my own thoughts and words, the referrals are just there to help me operate this website. So if you need to buy anything through Amazon, I would appreciate it if you’d support me, it costs you nothing and can make a big difference to me. If not, no big deal, thanks for visiting my website and I hope all this information helps. Every machine is a little bit different, but I’ll describe how it works on my Paragon popcorn machine (4 oz) that I have at home. The first step is to turn on the machine and start the kettle warming up. This usually takes like 3 or 4 minutes on my Paragon but it might be faster or slower on other models. After the kettle has warmed up (typically on mine I determine it’s warmed up when steam starts to rise out of it, but yours might be different), add the appropriate oil to the kettle. For my 4 oz machine, I add in 2 tablespoons of sunflower oil. I think the ratio is typically 1 tablespoon for every 2 oz kettle size that the machine has. So if the machine had an 8 oz kettle, you would use 4 tablespoons of oil. Once I’ve added in the cooking oil, next is to add in the popcorn. On my 4 oz model, I put in 1/2 cup of unpopped popcorn to the kettle. That would double to one cup on an 8 oz machine. I have put more than 1/2 cup in at one time when I wanted to make a bigger single batch (but not make multiple batches). This still works ok but you’ll get more unpopped kernels, which is undesirable. After the popcorn is added, it’s time to add the seasoning salt. This can vary based upon how much you prefer on your popcorn. I typically add in around 1/2 a tablespoon, sometimes a little more, sometimes a little less. How potent your salt is makes a difference as well, you’ll probably have to make a few batches before you get it completely right. Took me a few batches to get mine right. Once the seasoning is in, it’s time to close the lid of the kettle and shut the door of the machine. It will generally take a couple minutes, but eventually you’ll start to hear the popcorn pop and start to pop of the sides of the kettle. This popping will continue for a couple minutes as the popcorn gradually all pops out of the kettle. When the popping stops, it’s time to turn off the kettle and stirrer, then dump the contents of the kettle into the bottom of the machine (usually this a bunch of popcorn + unpopped kernels often called old maids or duds). Hope this will make your home theater movie night even better! If you’re buying a popcorn machine, it’s likely you’re doing it for one of two reasons. Either you’re buying to be used in a commercial environment like a school concessions stand or you’re buying it for your home theater. I’ve divided up my buying guide to feature the best machines from both categories. Why the separation? Typically your commercial machines are going to be bigger, more expensive, and generally pop way more popcorn at one time than you’d ever need in a home environment. Home theater popcorn machines are usually smaller, cheaper, and make enough popcorn for 2 to 6 people per batch, depending on their size. The same manufacturers make both, typically the home ones are a little more aesthetically pleasing than the commercial ones as well. If you’re serving a lot of popcorn, these machines can quickly pay for themselves multiple times over. There are some cheaper options but honestly going with a quality manufacturer who has been around a long time and has good service and parts is worth a ton. If your machine breaks and the parts are only available via mail a couple weeks later, how much money is that going to cost you? A lot more than you saving some money up front on a cheaper machine. Hopefully this helps in your quest for your school or other business. It’s a pretty good machine, I’ve used it a lot over the past few years. 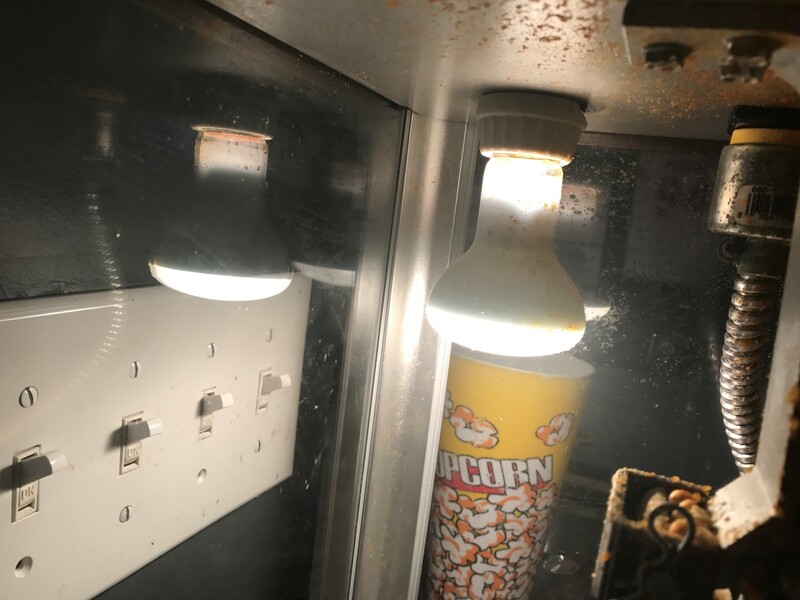 Never had one issue with it, which is part of the reason I’m high on Paragon popcorn machines (and judging from reviews, almost everyone else is too). The thing is built like a tank. I’m very impressed with the quality of mine. It’s probably one of the most well built items in my game room. It makes 92 one oz batches of popcorn an hour, so plenty for a home. I remember way back when debating about whether I need a 6 oz or 4 oz machine, most owners said that 4 oz would be plenty for a home and they were right. The only reason I could see owning a 6 oz machine would be if you have a really large family and want to make fewer batches. If you don’t want to spend that much money on a popcorn machine, then the Great Northern Popcorn Company makes some good machines that are very highly rated. They’re a lot cheaper than the Paragon machines and are rated almost as highly. I wouldn’t buy any popcorn machine from Amazon unless it has at least 4 stars, just in case you are looking at other options. Some of the other options may look great but the reviews tell a different story. Hopefully this helps in your quest for the best home theater popcorn machine. When buying popcorn for your machine, you have a few different options, and it kind of depends on how much you use it and how picky you are. The first option is to go down to your local store and buy some popcorn in a package. Some people really like popcorn this way, some people don’t. I personally can’t tell the difference between popcorn too much unless it’s old, then it’s definitely noticeable to me. If you’re buying for a commercial establishment, that obviously isn’t going to work, too expensive to do that. With those items, you’ve now got enough supplies to cook a ton of popcorn. The only other thing you might consider is butter, which some people like on their popcorn. I don’t currently have any recommendations for that due to the fact that I normally don’t put butter on my popcorn. If you’re a commercial place, you’ll have to buy one of those larger heated butter dispensers that you can dispense through a spout. This scoop has holes in to let old maids fall through. This is pretty nice compared to the usual scoop which puts a lot of the old maids in your bag. Nothing is worse that accidentally chomping down on an unpopped kernel, so it’s a cheap price to pay to save your teeth. 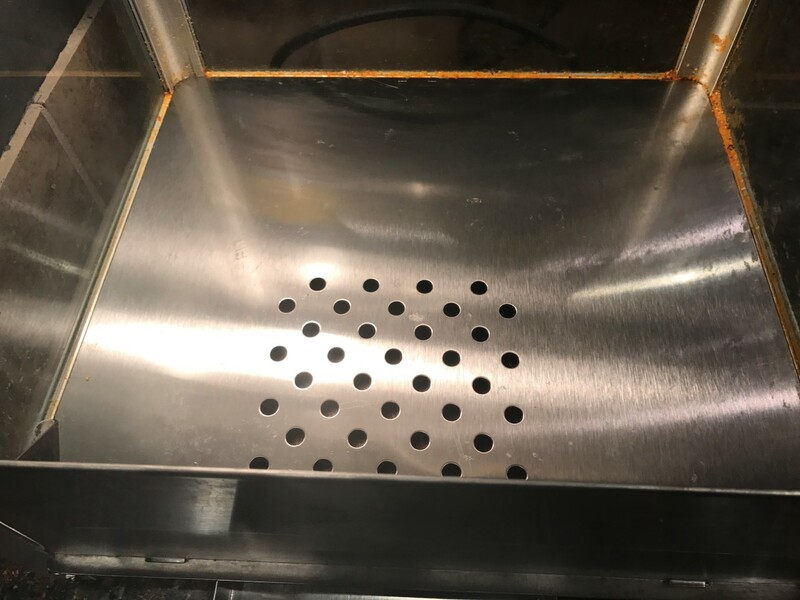 Cleaning your popcorn machine is pretty easy to difficult, depending on what model you have. I would always recommend consulting your manual before doing anything. Some models have kettles that can be washed, others if they touch water will start to rust. Make sure you use the correct cleaning supplies for your kettle. Due to that, I’m not going to make any specific recommendations for cleaning that. Typically I wipe mine down after it’s cooled down but the oil hasn’t stiffened up yet. I use a rag and then can pretty easily get the excess off the kettle. DO NOT TOUCH THE KETTLE WHEN IT IS ON OR HOT!!! It gets extremely hot and you’ll hurt yourself. Cleaning the glass is a much easier proposition. Cleaning the glass is typically done with Windex or some other glass cleaner (non-ammonia). Don’t use Windex if you have plexiglass though, evidently it will cloud it over time. Sometimes having a little steam will help you clean the insides a little better, as an FYI.